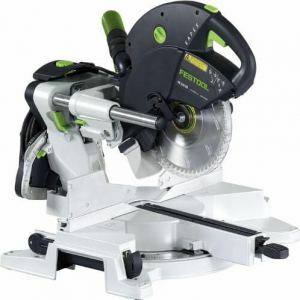 Not all miter saw are created equal. With today’s Hitachi C15FB 15-inch, 15-amp miter saw review, we’ll outline the hard-hitting capability of this beefy piece of kit. Only you can decide whether it meshes with your woodworking needs and whether or not you think it’s worth the stiff price tag. The only 15-inch miter saw currently up for grabs, the Hitachi C15FB is a highly capable workhorse that would grace any home or professional workshop with its commanding presence. Packing a single-phase 15-amp motor running on 115 volts, it maxes out at 3400RPM giving you a unit that will slice through a wide array of materials. Whether you want to cut wood, plastic or aluminum, the Hitachi is more than man enough for the job. 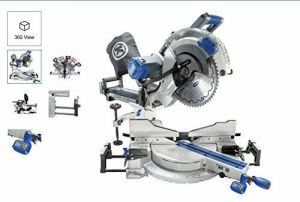 A miter saw is only as good as its blade and you can choose to buy the Hitachi as a bare tool or with a blade included. If you pay a little more for the second option, you’ll get a 100-tooth, 15-inch ATB blade thrown in. With a kerf of 0.118 inches and a 1-inch arbor, this rugged beast makes light work of more or less any material it encounters. The teeth are tipped with tungsten carbide so the blade will stay the distance. 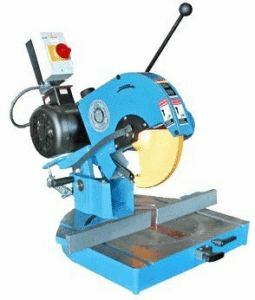 You’ll be able to cut material 4 ¾ inches thick and up to 7 9/32 inches wide. While you can’t bevel cut with the Hitachi, you’ll be able to miter beyond 45 degrees in either direction for a great degree of flexibility. 11 positive miter stops at the most commonly used angles helps you get precise and smooth cuts every time. The index is clear and user-friendly so you won’t waste any time searching for the angle you want. The stops are at 0 degrees then at 15, 22 ½, 30, 45 and 57 degrees to both left and right. You’ll be able to make quickfire adjustments to the table angle using the neat side handle. The vertical handle might take a little getting used to but you’ll soon be up and running. With the inclusion of a center beam support and extension wings, you’ll enjoy a winning combination of raw power, stability and unerring accuracy for a truly professional finish. Even if you’re working with bigger pieces of material, everything feels perfectly supported and grounded. The Hitachi is not just uber-powerful but also a real pleasure to use. The handle is extremely comfortable and won’t leave you blistered after a prolonged cutting session. The trigger switch is located on the handle and there’s a lock-off button to prevent accidental firing up. Miter saws can be lethal so this kind of safety touch is key. 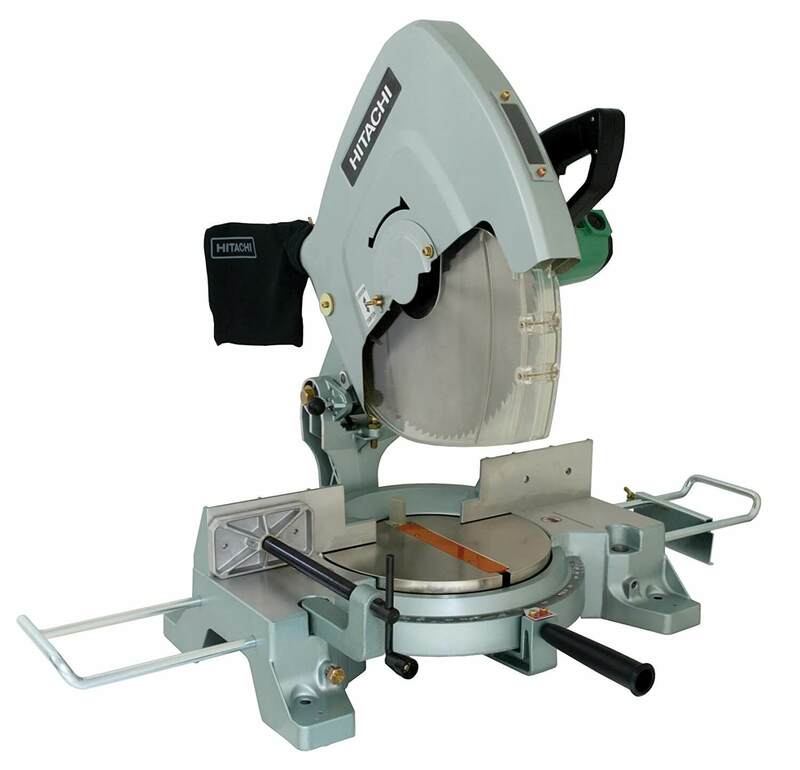 The electric brake is another essential on a saw as potent as this 15-incher so you won’t be making any cuts in error. Since you can adjust the swing arm up and down, you can make sure you kick off with the blade almost vertical for superior control. When you need to swap out the carbon brush, it’s handily located so you can take care of this without unnecessary fiddling around. With a dust guard and dust collector attachment in place, you won’t end up with sawdust in your face or blown into the innards of your saw. Be aware in advance that the Hitachi weighs in at 55 pounds and rides just under 30 inches high so make certain you’ve got the space to accommodate it. 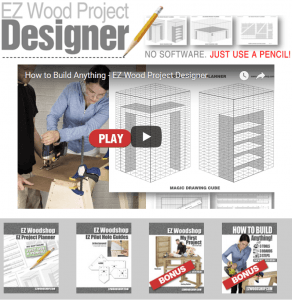 In return for this bulk, you’ll get a totally stable unit that miter cuts like a dream. The Hitachi C15FB is the only option at your disposal but, fortunately, it will not disappoint. 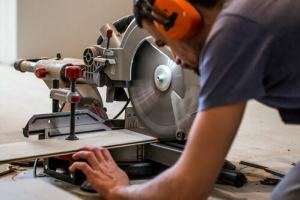 Sure, this chop saw is expensive but considering its intended usage and the sheer scope of its capabilities, we’d argue it’s exceptional value for money overall. Think of a saw like this as an investment rather than an expense. Although you won’t be able to make bevel cuts, if you’re looking for an out-and-out miter saw fit for a pro, the Hitachi C15FB will absolutely not fail to deliver. You’ll get precision, power and versatility in one highly appetizing package. Check out the Hitachi C15FB today!